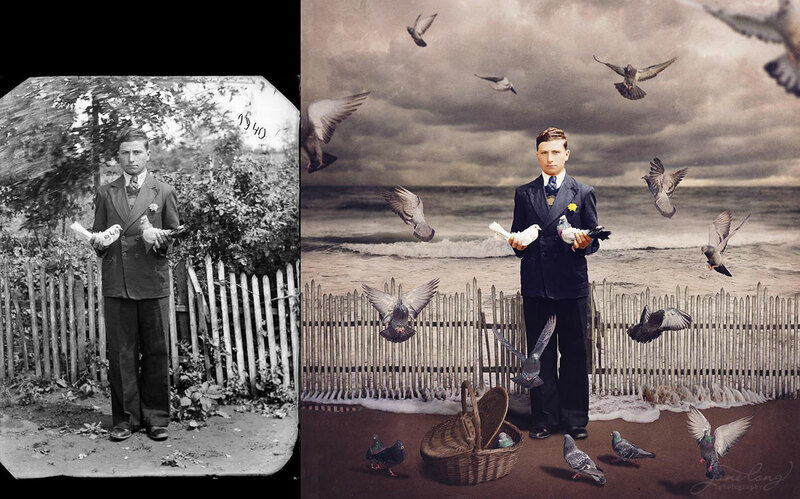 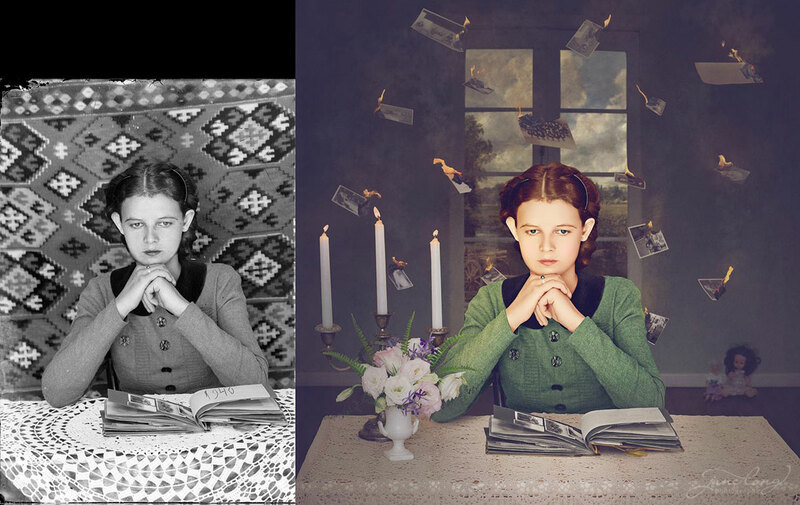 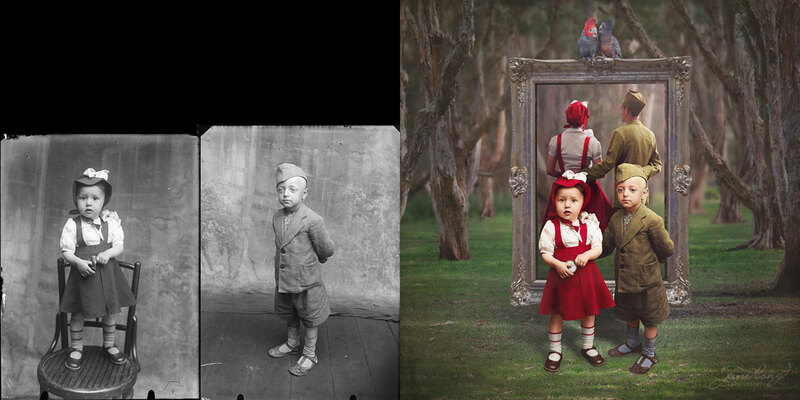 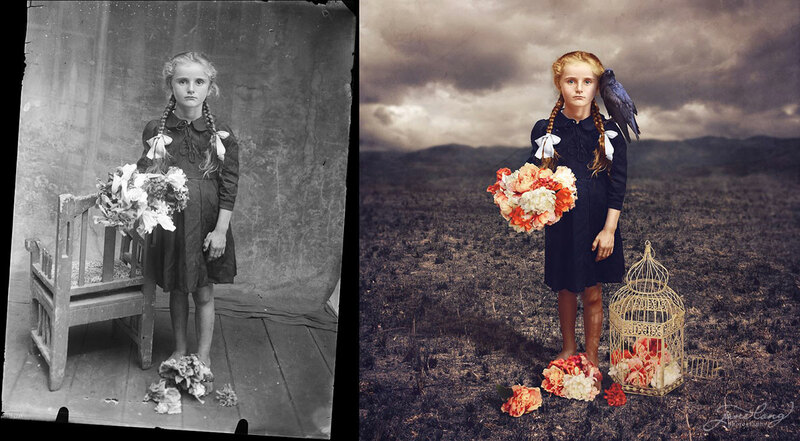 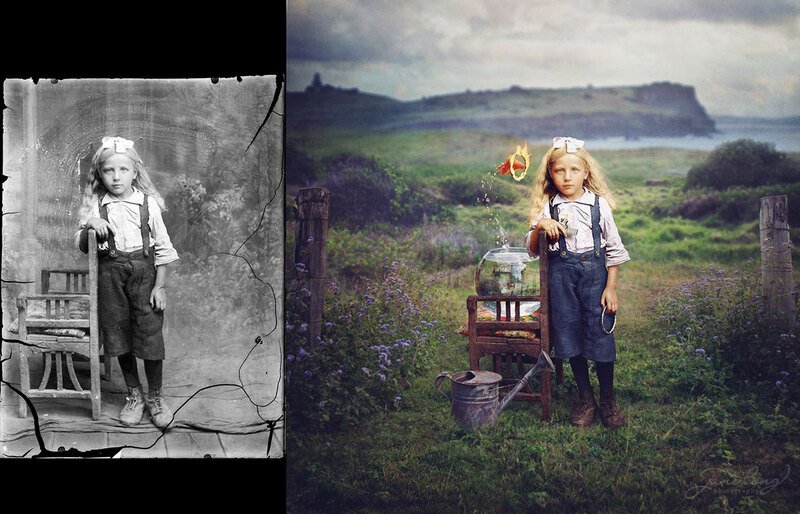 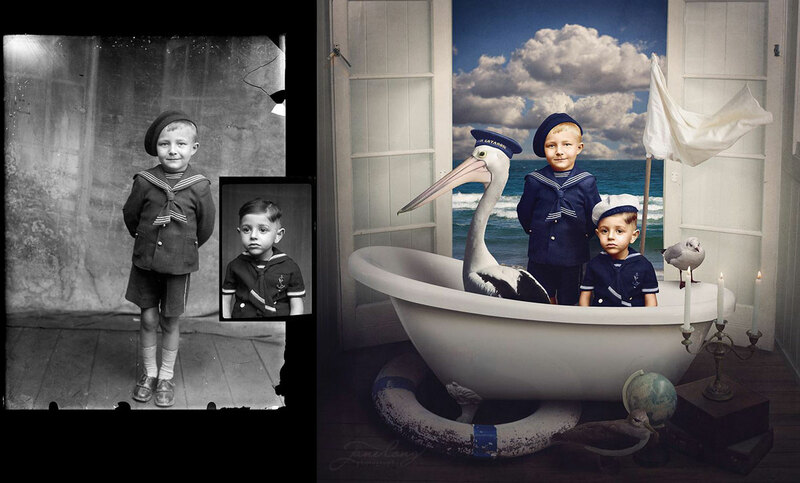 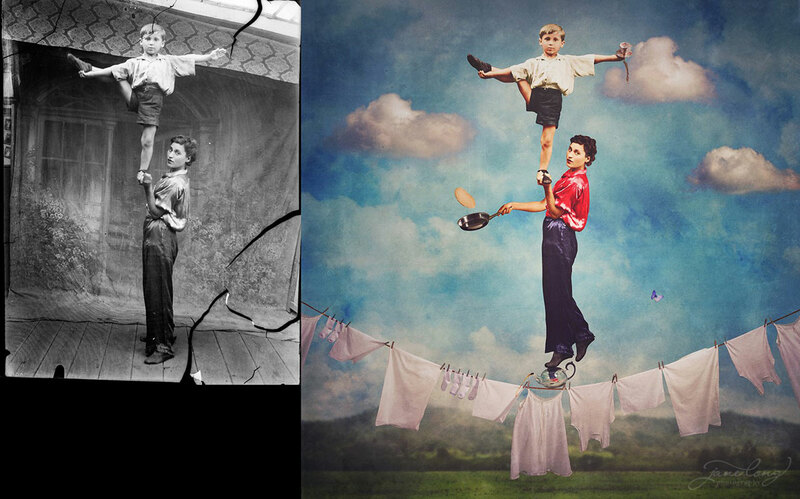 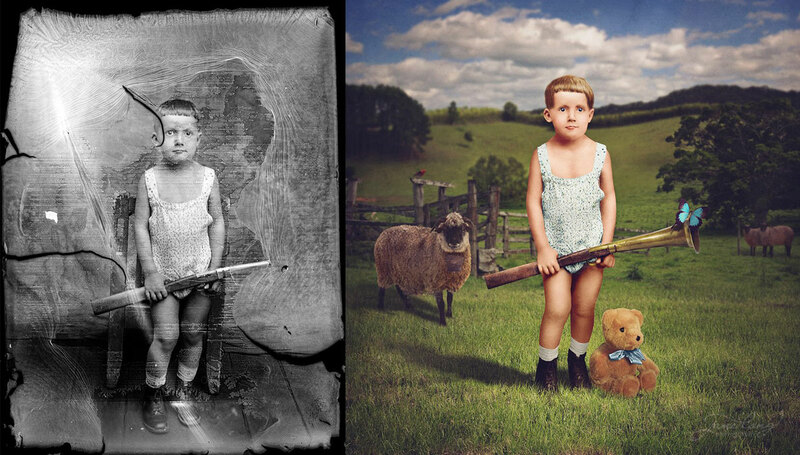 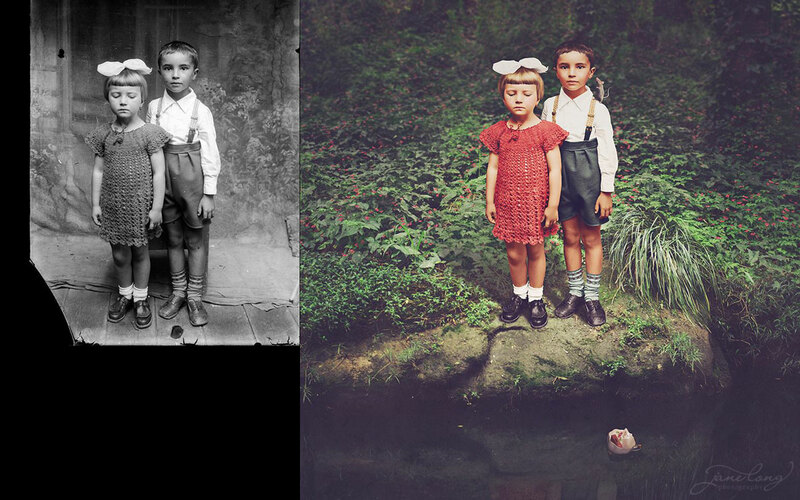 In an ongoing series entitled Dancing With Costică, Australian artist and photographer Jane Long colorizes old black and white photos and adds a surreal twist to them. 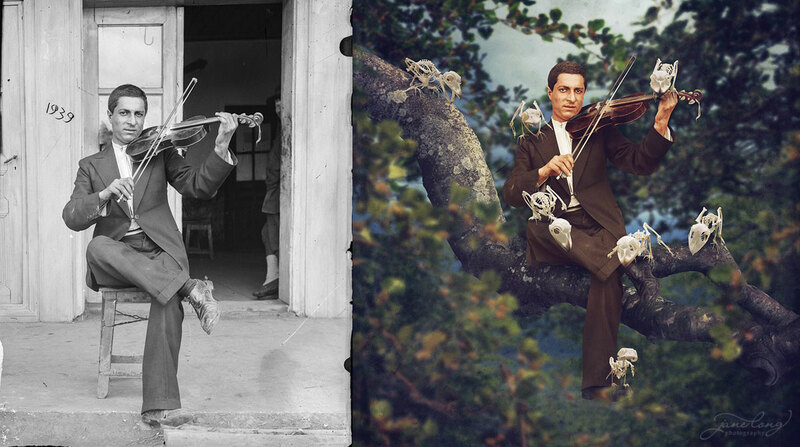 The original portraits were taken by Costică Acsinte, whose incredible archive of nearly 7,400 photographs are available on Flickr Commons (Cezar Popescu, who is responsible for digitizing much of the archive, also deserves a shoutout). 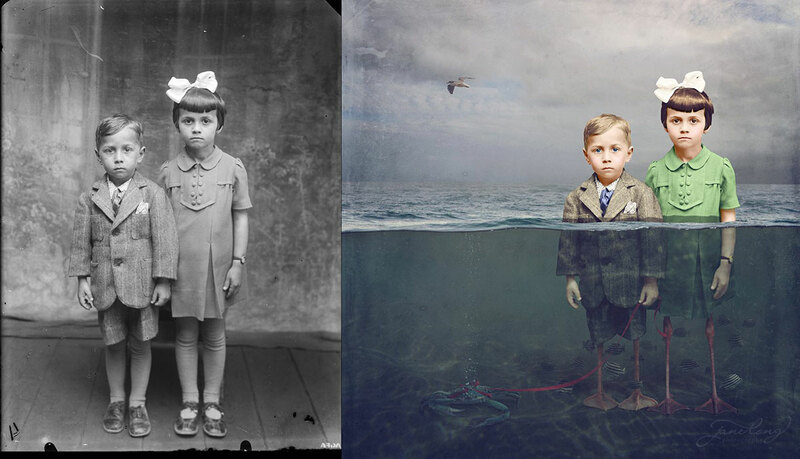 You can see the entire series at the links below. 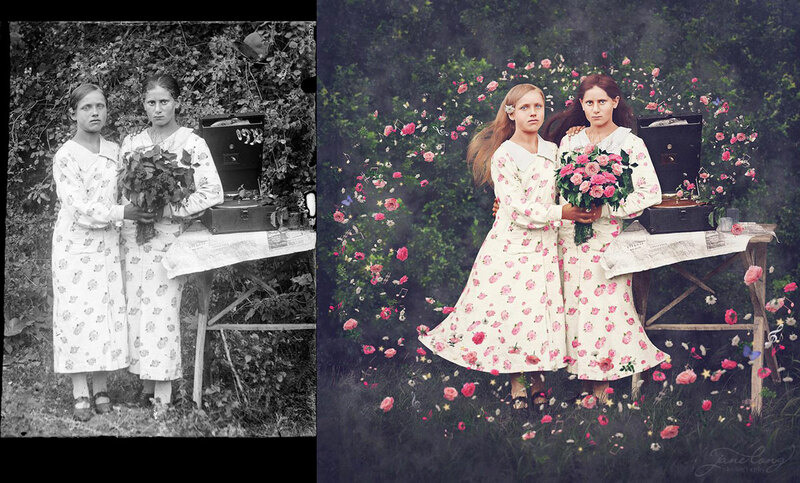 If you’re interested in prints, they are available through Jane’s website. 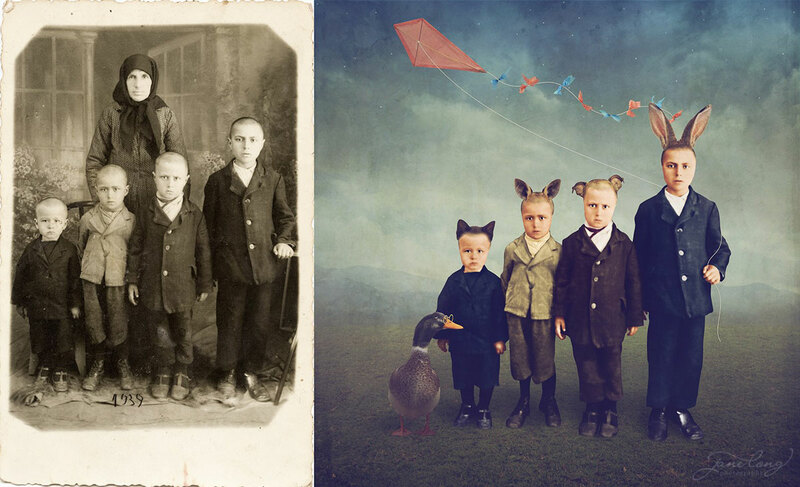 Long has also published some BTS videos that show timelapse sequences of her artistic process on her YouTube channel.